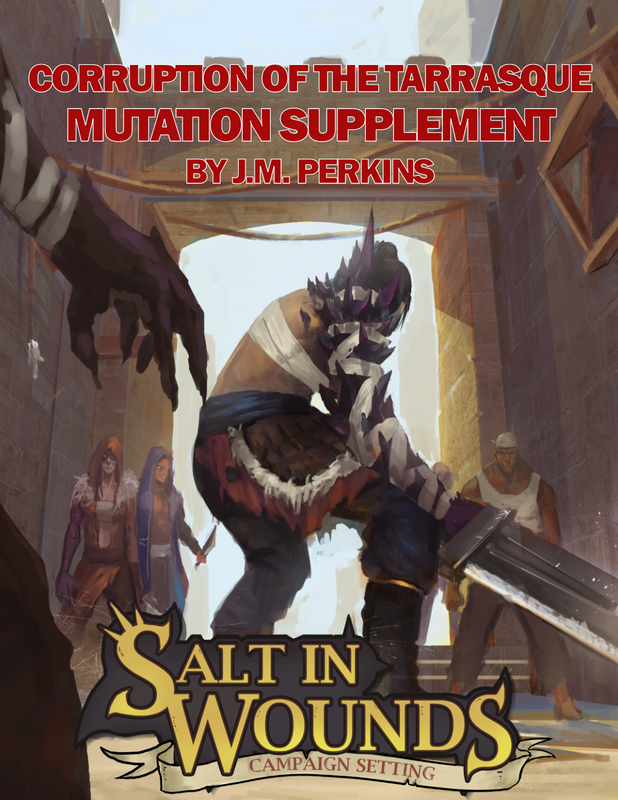 Spoiler Warning: If you’re playing in one of the Salt in Wounds Tabletop Games this weekend, don’t read the following as it contains potential spoilers. The wiry, smartly dressed half-elf peers at you from behind small glasses, the lenses seeming to gleam with opalescent light. The son of a minor cousin of 9th House and a drunken elven berserker who’d come to the newly founded city of Salt in Wounds to make his name in the fighting pits; Bakal was born 120 years ago. Possessed of a formidable intelligence even from an early age, an eight year old Bakal successfully petitioned to leave the relative comfort of his mother’s estate to apprentice with Tonagree Bumblezaz a gnomish alchemist known for his madness, cruelty, and the incredible discoveries he’d made in the burgeoning field of Tarrasque derived alchemy. After a decade under the tutelage of his insane master Bakal had gained scars from acid burns across his face, neck & back, an exhaustive knowledge of every variation of gnomish curse, and the mastery of alchemy necessary to be recognized as a journeyman alchemist in the 4th meeting of the newly convened Council of Sages. Within a week of Bakal’s appointment, Tonagree was dead; his stomach acid suddenly becoming so potent as to eat through his chest and drip out to chew holes into the floor and table around of his apartment-workshop. Documents were found leaving his laboratory, research notes, and wealth to Bakal while curiously leaving no provisions for the string of bastards sired by the randy old gnome, children and teens that he’d previously been materially supporting. And while the 5th-9th meetings of the Council of Sages were dedicated to researching the circumstances of of Master Bumblezaz’s death, no hint of poison or foul play were ever detected and the incident written off as an experiment gone wrong. Several years later, Bakal was elected into the leadership ring of the Council of Sages. Since then, the half-elf has grown in wealth and knowledge and influence until nowadays it is commonly accepted that he rivals a lesser Binder-Lord in terms of political power. Bakal Filligreen is generally known as one of (is not the) premier alchemist in the City of Salt in Wounds and hence the world. While other investigators of the alchemical arts might have more formulae or the creation/propagation of larger numbers of useful compounds to their name; almost all knowledgeable merchants and researchers know that Bakal is the genuine article. Everyone who regularly deals with Bakal respect him as a genius who -in his otherwise nondescript shop- can solve any alchemical mystery (for the right price of course). It is generally assumed that the genial half-elf keeps most of his knowledge and discoveries secret, occasionally publishing a lesser wonder to further fill his coffers and ensure he is meeting his duties to the Council of Sages. Less commonly known is Bakal’s role as one of the most influential information brokers in the city, a dealer of power and influence whose schemes might see him running a dozen adventuring groups in and around Salt in Wounds (sometimes at seeming cross purposes). Besides his alchemical acument, Bakal has an uncanny knack for uncovering the true desires of everyone he deals with and through the tangled webs he weaves throughout the city he can get nearly anything, for anyone… but always at an equivalent cost. 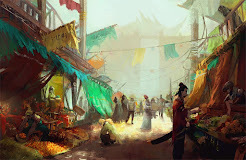 Located in Sage's Row, Bakal’s shop-laboratory-residence has nearly every alchemical good, drug, and item commonly available. This storefront also is notoriously frequented by odd characters of every social station. His real estate (and his person, when he deigns to travel) is protected at all times by at least 4 advanced tarrasque-flesh golems; beings of his own design over which he maintains absolute control. It is rumored that his laboratory foundries (staffed by even more flesh golemns following intricate instructions set by Bakal and producing alchemical goods in huge quantities) extend deep underground, connecting to the series of tunnels and sewers dug by drueger and anhkegs the move and dig extensively beneath the city. Through alchemical learning, through acquisitions of secrets, through manipulation of others Bakal seeks to continue to gain as much political power possible while avoiding drawing any unwanted attention to himself. Besides all the rumors being true (and Bakal being involved in dozens of plots at any given time) the wily alchemist is an obsessive -if covert- collector of corpses. These he pumps full of specially treated Tarrasque blood, which imbues the bodies with a semblance of life. While in this peculiar state of undeath, Bakal interrogates them and over the course of a month dredges up any information that could be of use, with particular emphasis on uncovering alchemical and political secrets. Once Bakal is assured that he has gained all the useful datum, he processes the corpse to contribute to the production of a new flesh golem. Besides the golems regularly seen protecting Bakal and his property, he has dozens held in reserves in various stone crates scattered and buried around Salt in Wounds. Of special note is the corpse of his old master Tonagree who Bakal has kept conscious for over a century. While the old gnome master is kept imprisoned, Bakal now considers the figure a friend and one of the only beings with whom he can share all his plans and schemes with. 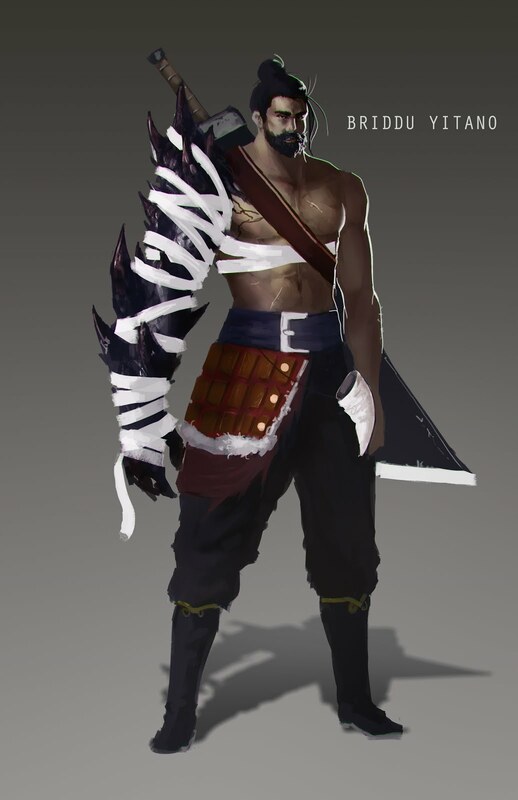 Bakal is notorious for knowing and utilizing the secret desires of others. He often deals with adventurers and while he is inevitably looks out for himself- he generally deals fairly and pays on his promises. Bakal is extremely skilled at reversing disfiguring mutations or creating beneficial ones; and for this sort of service he usually demands a steep price (though one not paid in coin). The party is hired by 5th House to discredit and ruin Bakal is possible, slay him otherwise. 5th House specifically seeks him to be eliminated as he is one of a very small number of alchemists who is not dependent on them for alchemical reagents, and 5th House strongly suspects the wily half-elf of thwarting their machinations to fully control the Sage’s Council. The party is hired by a one of Tonagree’s now adult children, who is convinced that Bakal killed their sire and ruined their life and want to finally prove this to the world.